The Brick Castle: Testing the Sleepy People Pillow Selector - hot or cold, hard or soft? Testing the Sleepy People Pillow Selector - hot or cold, hard or soft? 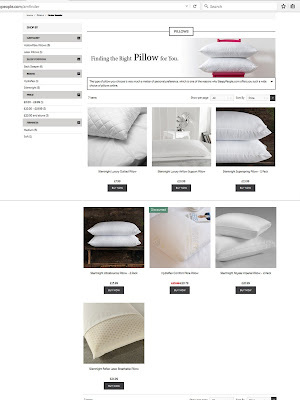 When you are emailed about a 'pillow selector' you have to try it, right? And it's only 4 questions, so it just takes a minute. But then when you get the results it's even more intriguing. Will I actually get pillows I love? Are those the right pillows for me? Until we used the Pillow Selector on the Sleepy People website I thought most pillows are generally just a pillow. In fact mine and my partner's results couldn't have been more different! 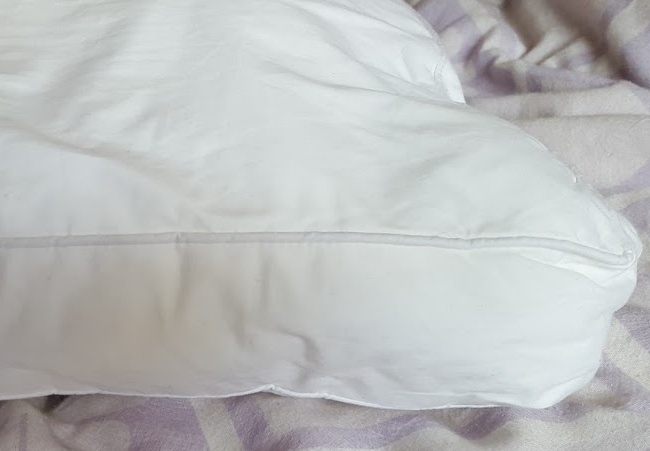 I was given a choice of 5 pillows, and was surprised to see it suggested a harder pillow, because I've always liked the idea of big pillows to sink into. 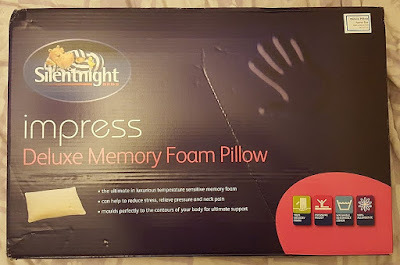 The prices ranged from £15.39 to £69.99, and so I chose the mid-range Silentnight Memory Foam Impress Pillow at £32.99. I've never had a memory foam pillow before, and it does feel really strange at first. Your head slowly sinks down to a really comfortable level, and despite my reservations about it being 'hard', I have found I sleep well and don't wake up with any neck or backache. The temperature is just right too, I'm not hot or cold. I'd never have chosen this pillow for myself - but it really works! My partner was, as we expected, given suggestions of much softer, voluminous, squidgier pillows. 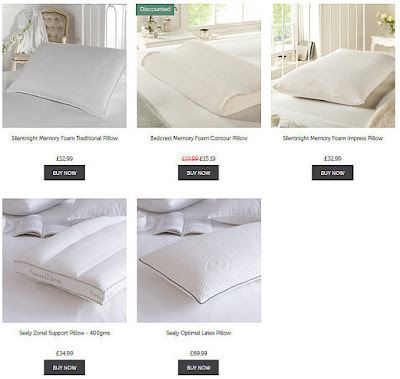 His pillow suggestions were much more traditional and ranged from £7.99 to £24.99. He immediately liked the look of the Silentnight Royale Imperial Pillows at £20.99 . A double pack, which suited him perfectly. 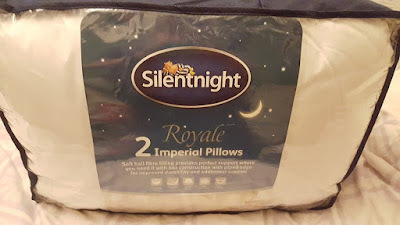 A more usual hollowfibre polyester pillow, the Silentnight Royale Imperial has a lovely finish with good shaping to keep the pillow plump and nicely finished piped edging to the seams. After 2 weeks use they've held their shape and fluffiness really well. My partner loves his pillows. He is often hot at night and he's more comfortable with these than any others he's had. The two pillows are perfect for him for comfort and he's also waking without any neck or shoulder pain. I'm really impressed with the pillow selector, it works incredibly well and we're both delighted with the results. Sleepy People have loads of helpful information on their website, as well as the Pillow Selector and a huge range of pillows to choose from. They even have advice on first beds and duvets for young children - as well as how to encourage them to go to bed and get to sleep! You can find out more on the Sleepy People blog. We were, somewhat obviously, sent the pillows as chosen by the pillow selector for review. Love the guide. 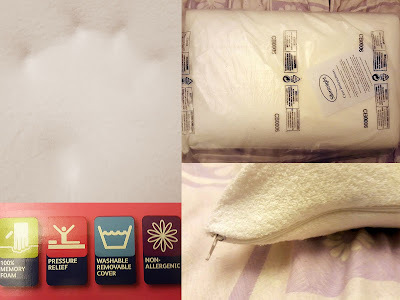 It definitely help me to choose a good pillow suitable for me. Off to take a look at their site now!